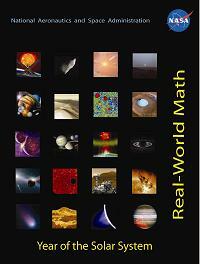 ﻿ Welcome to Space Math @ NASA ! 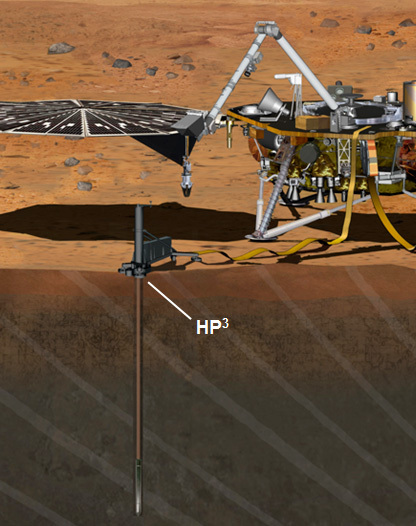 Exploring the Flow of Heat from the Core to the Surface with HP3 To take the temperature of Mars, which is a key indicator of planetary evolution, InSight will deploy a heat flow probe on the surface of Mars. 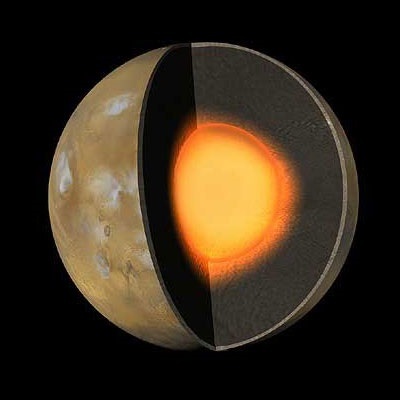 The instrument will hammer five meters into the Martian subsurface to learn how much heat is coming from the interior or Mars and reveal the planet's thermal history. Exploring the Deep Interior of Mars with RISE To track the way Mars wobbles when it is pulled by the sun, an investigation called RISE will precisely measure the Doppler shift and ranging of radio communications sent between the InSight lander and Earth. By tracking this wobble over time, scientists can determine how material insice the planet is distributed and better understand how the planet is built. These are hands-on Microsoft Excel spreadsheets that allow you to interact with plotted data, create mathematical models, and explore the relationships between mathematical quantities. Requires Excel version 2010 or higher. For a complete description of each ILab, visit the ILab archive [here].